In this part of our series on the Carnival Cruise Ship Triumph and the legal implications, we address the issue of the Ticket Contract that every passenger agrees to when they purchase their cruise. Parties. Anyone can enter into a contract, except minors, certain felons and people of unsound mind. The contract must identify who the parties are; usually names are sufficient, but sometimes addresses or titles may be used. In the instance of the Ticket Contract, for example, the term "Guests" describes the passenger. Consent. A valid contract also requires the parties' consent, which must be free, mutual and communicated to each other. Consent is not free when obtained through duress, menace, fraud, undue influence or mistake. Those terms can mean many different things and there have been many law books written about their definition. Generally, each case has to be considered on its individual merits and circumstances. Also, consent isn't mutual unless the parties agree on the same thing in the same sense. This is often referred to as a "meeting of the minds." Generally, there's an offer and an acceptance communicated by the parties. Object. The thing being agreed to is also known as the object or subject. It must be lawful, possible and definite. A court, for example, will not enforce a contract to perform an illegal act. The object of the Ticket Contract is obviously a cruise. Consideration. All contracts require consideration, meaning each party must gain something. In the case of the Ticket Contract, Carnival gains payment and the passenger gains a cruise. The most apparent arguable point of the Ticket Contract is consent. Very few passengers read the lengthy document. Can you legally consent to something that you have not read or that was not explained to you? Some lawyers had already begun filing suit on behalf of passengers by Friday afternoon - less than 24 hours after it returned to port. They believe that the extreme circumstances surrounding the Triumph negates the contract completely since by sending the Triumph to sea while it was being investigated as being unsafe, Carnival took a risk with the health and well-being of the passengers that only Carnival was aware of. 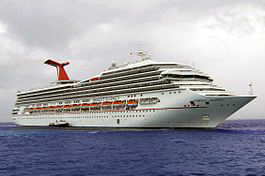 As is the case with most personal injury claims, the liability of Carnival Cruise Lines in the Triumph case involves many complex legal matters and will be vigorously argued by both sides. If you or someone that you love believe that you may have suffered injury due to the negligence of another party and have been misinformed about the implications of a contract that you were unaware that you had agreed to, The Law Offices of Casey W. Stevens can provide a free, no obligation case evaluation to explain your rights and lay out your possible legal options to recover compensation for your injuries.